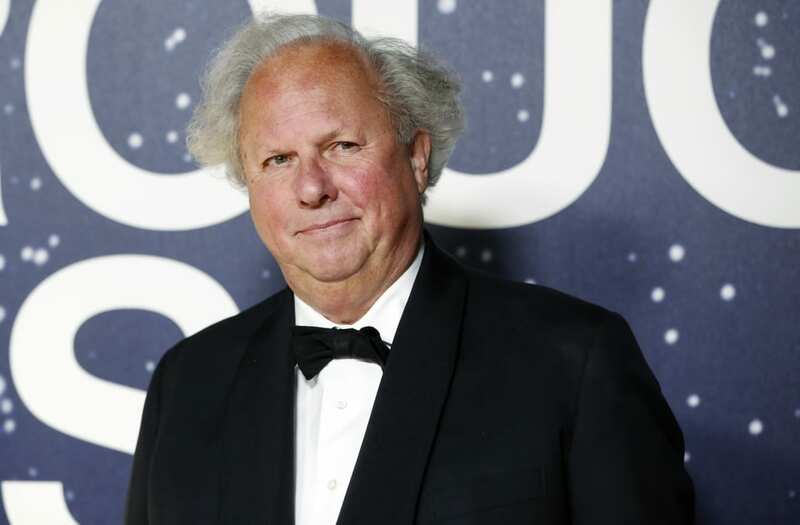 LOS ANGELES (Reuters) - Graydon Carter, the longtime editor of Conde Nast's culture magazine "Vanity Fair," will be stepping down in December after 25 years at the helm, the publication said on Thursday. Carter, 68, who has steered Vanity Fair through the shifting journalism landscape and expanded it onto a successful digital platform as well as print edition, will oversee the magazine's 2018 Hollywood issue, the publication said. "I’ve loved every moment of my time here and I've pretty much accomplished everything I’ve ever wanted to do,” Carter said in a statement, adding that he was "now eager to try out this ‘third act’ thing." Carter said in an interview with The New York Times published on Thursday that he wanted to "leave while the magazine is on top." Swiss photographer Michel Comte (C) poses with Vanity Fair magazine publisher Graydon Carter and model Cheryl Tiegs at an art auction, March 19, 2002 in Los Angeles, benefiting the People and Places with No Name campaign created by Comte in association with the International Red Cross. [The campaign aids victims of conflicts in Afghanistan, Ethiopia and Angola.] Comte holds a copy of his new magazine "4Africa" whose proceeds benefit the IRC. "I want to leave while it's in vibrant shape, both in the digital realm and the print realm. And I wanted to have a third act - and I thought, time is precious," he told the Times. The Times said no replacement has been named yet for Carter, who earns a "seven-figure salary" at the magazine, but suggested that New York magazine's editor-in-chief, Adam Moss, and Janice Min, former editor of The Hollywood Reporter, are potential candidates. Carter, appointed editor of Vanity Fair in 1992, and turned the magazine's focus to crime, culture and celebrities. He nurtured revered writers such as Christopher Hitchens and Dominick Dunne, humorists Fran Lebowitz and James Wolcott, and photography great Annie Leibovitz. Vanity Fair's International Best-Dressed List 2017: See the honorees!